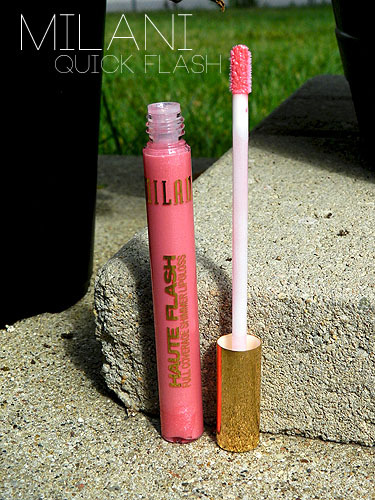 Milani Quick Flash Haute Flash Full Coverage Shimmer Lipgloss Review! Milani Haute Flash Lipgloss ($7.49) is a new lipgloss range from Milani providing full coverage color with an extra shiny finish. 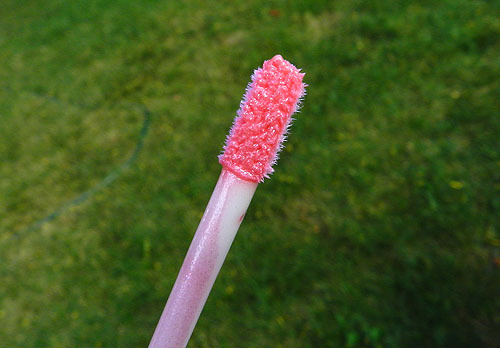 It’s non-tacky and won’t won’t feather; meaning, it will stay on your lips and won’t travel outside your lip line. There are six (6) shades available: Hot Flash, Flashy, In a Flash, Star Flash, Golden Flash and Quick Flash. A couple of the shades caught my eye, but I was the most drawn to Quick Flash. Quick Flash is a light-med pink (I can’t decide whether it’s a warm or cool pink, it’s somewhere in between) filled with a mixture of white and pink shimmer. If you don’t like shimmer, steer clear because these contain lots of shimmer. Some of the shades in this range are more pigmented than others, and Quick Flash happens to be the sheerest. I was a bit disappointed because with the claims of being “full coverage”, I was expecting a liquid lipstick type of gloss, and it just didn’t deliver. It’s very buildable though, and with two coats, it provides a nice medium coverage on my rosy lips. Milani Quick Flash on my lips. 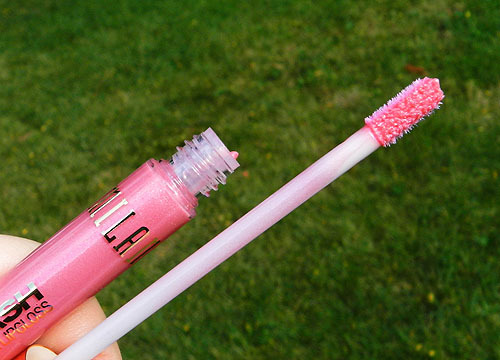 The gloss itself feels comfortable on the lips. There is a slight grit because of all of the shimmer, but the gloss itself is thick and moisturizing that it doesn’t bother me. The consistency reminds me a bit of the Revlon Mineral Lipglazes; slightly thick, non-sticky, non-drying. I can see that’s why these won’t feather, because for a lipgloss, they aren’t at all runny. 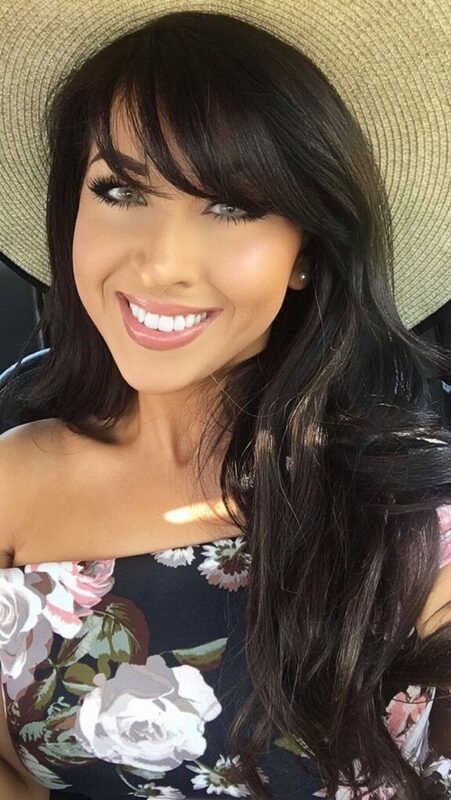 I love the way the gloss looks on my lips, and I feel like the formula and shimmer actually makes my lips look a little fuller. One thing I figured is worth a mention, for some reason after I’ve applied the gloss to my lips I feel a slight tingling-heat for the first couple of minutes – almost like it’s a mild plumper? It’s very subtle and goes away, but I’m assuming it’s a very mild reaction to an ingredient in the gloss. I’ve had no side effects (such as dried out lips, swelling, or anything of the sort). I haven’t read that anyone else experienced this, as results will vary from person to person with any cosmetic product. Overall though, I’m pretty pleased with this gloss and I think it’s an awesome every-day pink that can be worn alone, or tossed over top any pink lipstick. 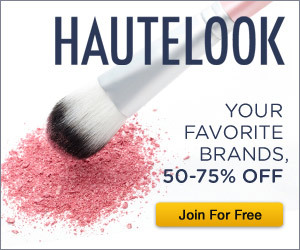 Price: $7.49, CVS, ULTA or your local store that carries Milani. Wet n Wild Megalast 2% Milk and Milani Lavender Jewel FX Nail Polish! Really pretty color. It has a bit of a shimmer. Too bad it feels gritty. This would be a perfect color to match what I'm wearing to the wedding this weekend ! !